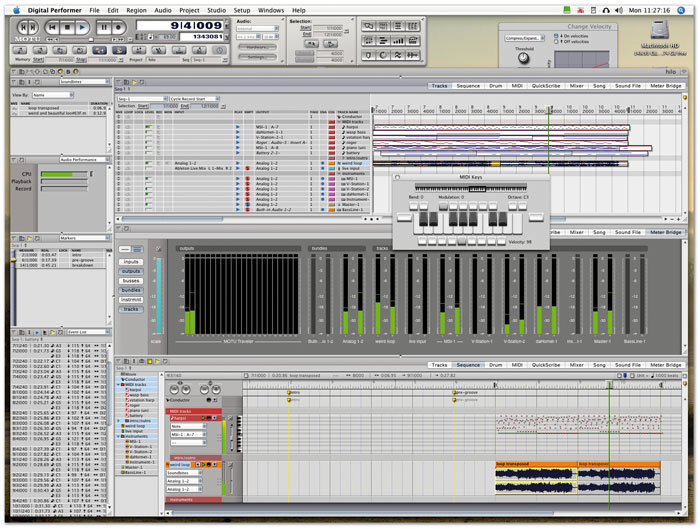 This latest incarnation of one of the most long-lived Mac-based sequencers has its roots in Performer, which was first released way back in 1985. Performer went 'Digital' in 1990, and since then its version number has crept up, with DP4 being the first OS X-compatible variety, seen in 2003. The program was last reviewed in Sound On Sound in February 2005. That was version 4.5, perhaps the first really mature version for OS X, and one which added a plethora of new and improved features. Anyone interested in finding out more about Digital Performer would be well advised to revisit that review, as much of it still very relevant — it's available on-line at www.soundonsound.com/ sos/feb05/articles/motudp45.htm. However, DP5 has enough enhancements and new features to be seen as more than just another incremental update. Some of the new features described here were actually introduced in version 4.6, but for a run-down of the things that are really new, see the 'New Features Summary' box. In case you're entirely new to Digital Performer, I've tried to give an overview of the application that means you won't need to scrabble around digging out your old copies of SOS, or worry about versions of the application that you'll never end up using.